TFN Treaty Society would like to wish CONGRATULATIONS to Kitselas on another successful season of campaigning, speeches, exercising your democratic right and voting in a team that will represent your community as it grows and prospers for the next 2 years. All the best to the People of the Canyon! 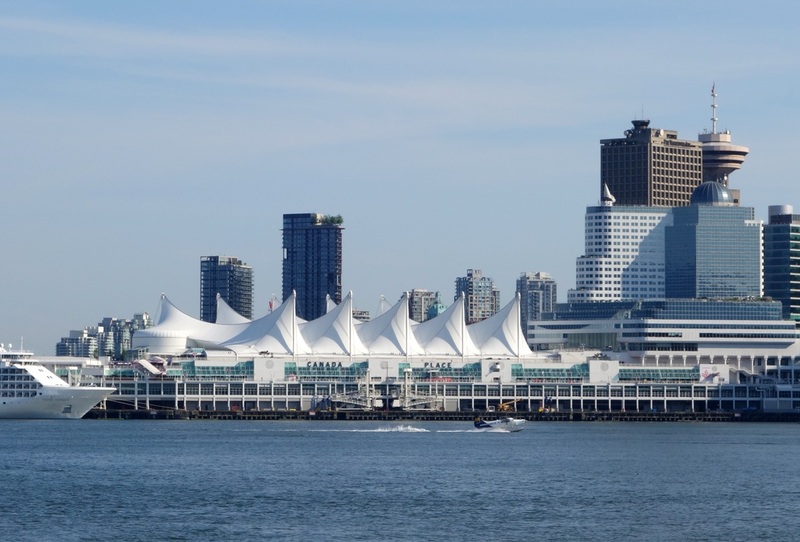 Tripartite negotiations resumed after a short summer break with Canada hosting the September meeting in Vancouver. This round was cut short as Canada’s team was not all present and those present, had little authority over the important agenda item: fish and marine requirements. Missing was their chief negotiator. Also Department of Fisheries and Oceans was not present at the table where chief negotiators reviewed the fisheries working group report. Kitsumkalum and Kitselas re-iterated that if fish is not included in a final agreement, there will be no treaty. Canada was presented with a copy of a summary report the North Coast Skeena First Nations Stewardship Society "North Coast Marine Plan Overview" which "is to provide recommendations for achieving ecosystem health, social and cultural well being, and economic development through an ecosystem-based approach to planning and management. 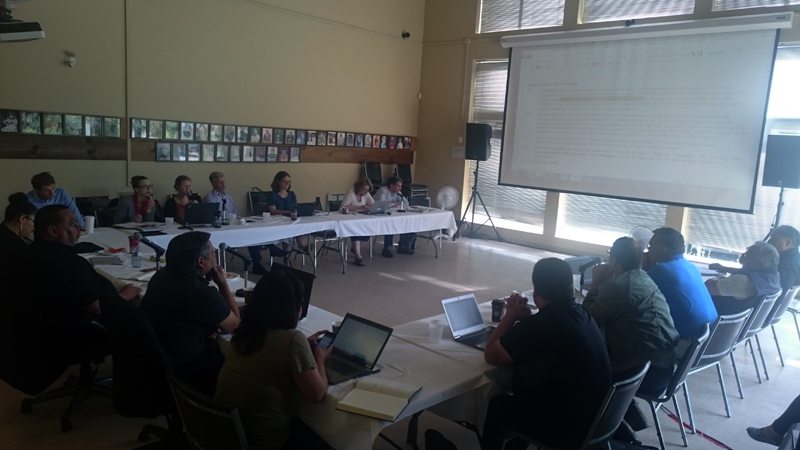 The plan provides recommendations for developing and maintaining resilient marine ecosystems and sustainable economies for North Coast Communities"
BC Treaty Commission, Tom Happynook chaired the meeting and after all teams agreed to the Record of Decision from June’s talks, new business began. This round reviewed reports from the working groups for Fisheries, Main-table, Legal, Lands Technical, Water Technical and Forestry.Working groups meet through out the year continually between scheduled negotiations. 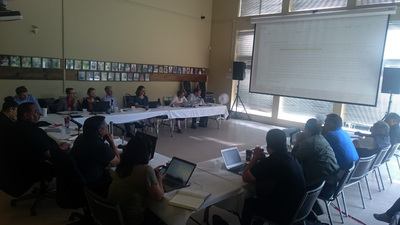 Main-table Working Group business included, Environmental Chapter, Kalum and Kitselas reported out on the Fish Survey that has been conducted during the summer. 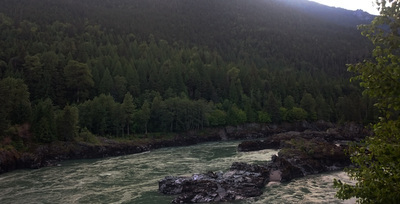 Hydro Electric Water Assessments were discussed; Kitselas and Kitsumkalum will identify related water areas that may be included in the Water Chapter. Harvest Areas for Wildlife, Fisheries and Gathering purposes remains an issue to be addressed at the next meeting. Chapter reviews also include Self-Government and Gathering. Next round of discussions will be hosted by BC in Victoria, watch for updates in early October. It was a busy week at the negotiation table in Gitaus during the last week of June. Kitselas First Nation hosted the latest round of tripartite talks for both Kitsumkalum and Kitselas communities. 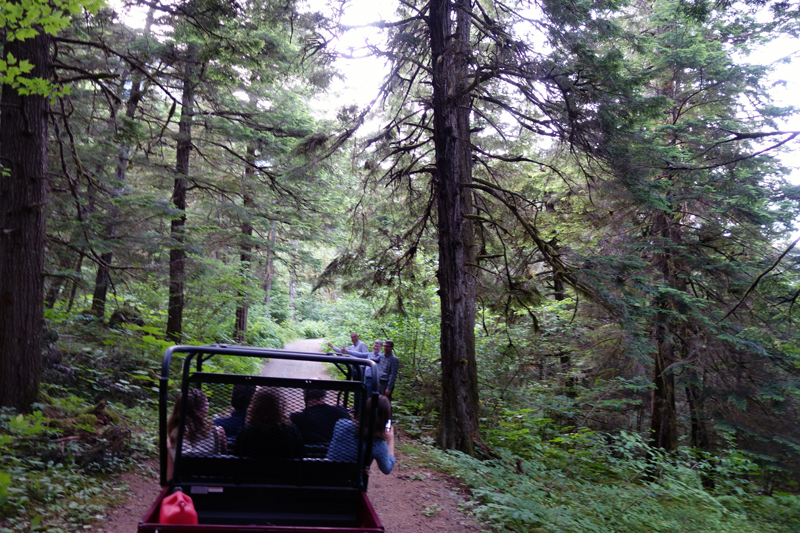 Canada and BC negotiation teams were welcomed in and treated to an informative tour of the traditional Tsimshian territory as well as fresh traditional food. 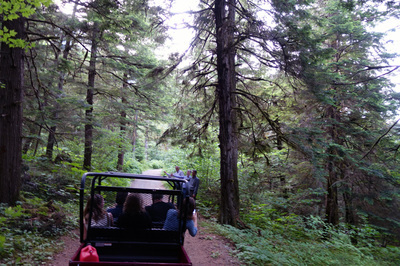 CJ of the Kitselas Treaty office shared many stories of the deep history and culture of the Kitselas Canyon. 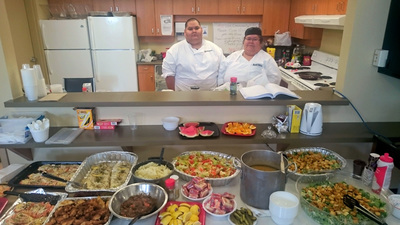 At the table, the teams addressed language requirements on important agreement provisions in Lands and Resources, Fisheries, and Culture and Heritage. BC Treaty commission was able to chair the meetings and were made available along with the rest of the teams for one on one discussion with the community participants that came looking for answers. It was a fast paced long week of talks leading into the first long weekend of the summer and it ended in good spirits. It seems each round at the table strengthens the nation to nation relationship. Congratulations to the Gitga’at First Nation on the success of their recent election which was held on November 25, 2015!  TFN Treaty Society extends congratulations to Gitga’at First Nations community members for exercising their democratic right in selecting their leaders. Choices made are a tribute to the strength and commitment in the governance of the Gitga’at community. Community members and regional dignitaries witnessed the official signing of the Kitselas and Kitsumkalum Agreements-in-Principle on August 4th 2015 in two separate events. While this important milestone in the BC Treaty process took place more than two years after the respective communities approved their Agreements-in-Principle the day was very much celebratory. This formal signing commits all parties to address outstanding issues from Agreement-in-Principle negotiations and officially moved both Kitselas and Kitsumkalum into Stage Five of the BC Treaty Commission process. An Agreement-in-Principle is not legally binding, but it is the critical framework to a concluded Final Agreement or Treaty. 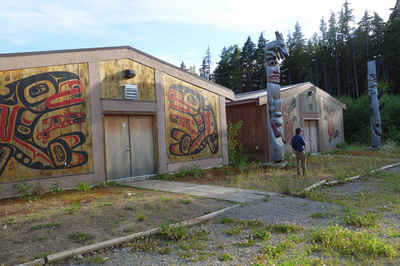 When the communities of Kitselas and Kitsumkalum voted “YES” to the AIP it mandated the negotiators to move forward with Final Agreement negotiations. While the formality of signing has taken longer than anticipated, the Parties have continued negotiation requirements on many different issues over the past two years. Including establishment of a process to address fish and marine matters, which is especially significant as it had been off the table for a number of years. With the signing of the Agreements-in-Principle, Kitselas and Kitsumkalum will be working to conclude a Final Agreement within the next two years. Once a Final Agreement is complete a majority of Kitselas and Kitsumkalum eligible voters will need to approve it with another ratification vote. 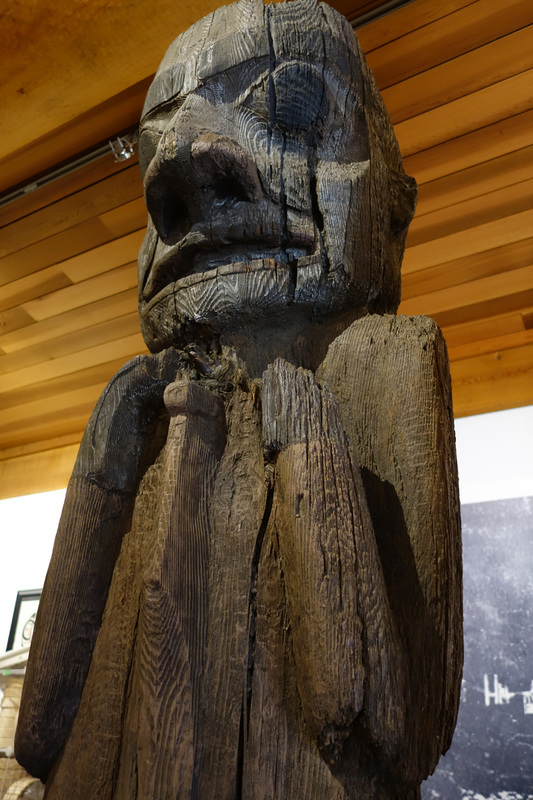 Kitselas and Kitsumkalum eagerly anticipat﻿e the signing of the Agreements-in-Principle by Canada and subsequently by British Columbia early in 2015 which will signify the shift into formal Final Agreement negotiations. Canada has confirmed a new mandate to negotiate fish, migratory birds and the financial package in the coming year, which is significant. The Metlakatla negotiation table is moving along very efficiently and the community is making progress on the land option. 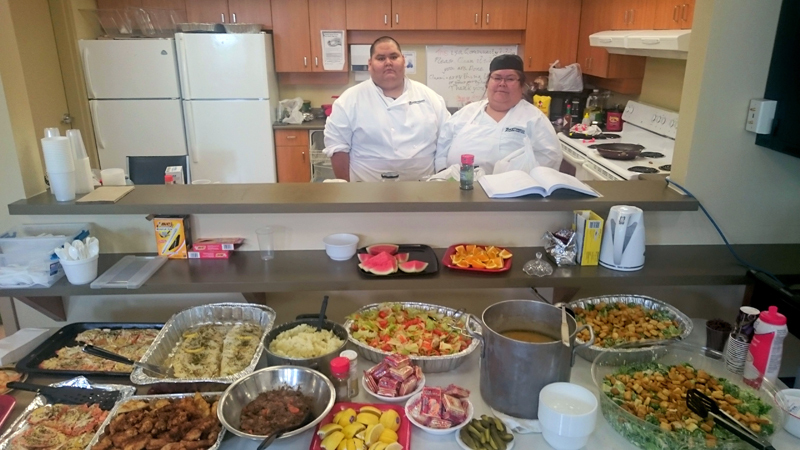 Metlakatla is at the table with Kitselas and Kitsumkalum to collectively negotiate fish matters – all communities will identify what is of common interest and work towards resolving distinct interests for each community. This is not a “one-size fits all” approach, but rather an opportunity to move along on this issue at a faster pace than would be expected if all three were meeting independently. Overlap issues are ongoing and will require significant attention in the coming year. The BC Treaty Commission has encouraged First Nations to resolve the current issues independently and the Tsimshian Treaty Society has made formal efforts to reach out to our neighbouring communities to resolve the issues. We look forward to advancements on this item and will report any progress in the new year.